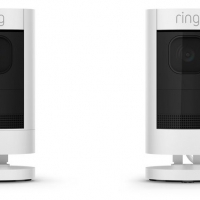 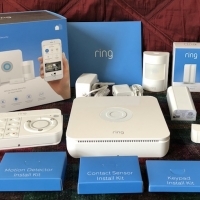 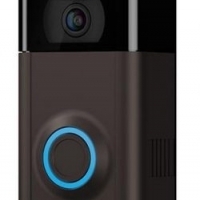 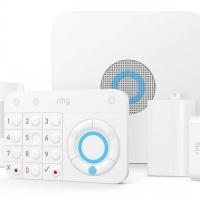 Earlier this year, popular smart doorbell and home security company Ring debuted its Video Doorbell 2, equipped with a motion sensing 1080p camera, a removable battery, and two-way audio capabilities. 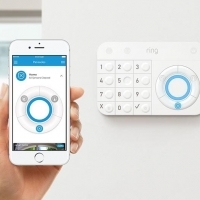 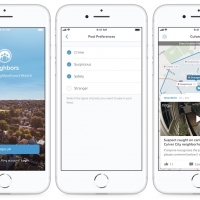 Integration with Ring's mobile app lets you see activity at your door from anywhere, and even communicate with visitors. 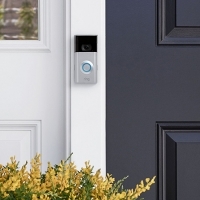 The Video Doorbell 2 is priced at $199 and can either replace an existing wired doorbell or be freshly installed in either a wired or a battery-powered configuration. 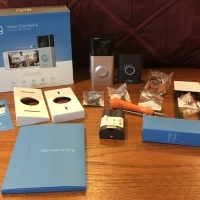 We've been testing one out over the past month to see how it works on a standalone basis and in conjunction with the Floodlight Cam and Chime Pro accessory we reviewed a couple of months ago, so read on to see what we thought of it. 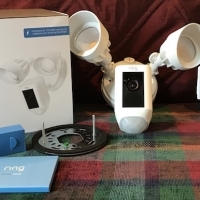 Back in January, Ring introduced its motion-activated Floodlight Cam, pairing a security camera with two bright floodlights to help protect users' homes. 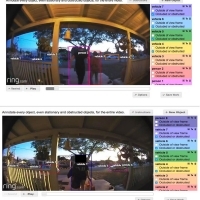 The Floodlight Cam began shipping in April, and I've been using one for about six weeks to monitor the rear of my house. 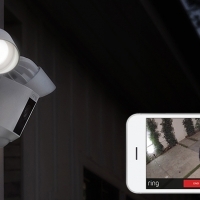 It's a handy product that lets you keep tabs on movement around your home, with push notifications, live and recorded camera views, and the ability to use two-way talk and a siren to communicate with people approaching your home. 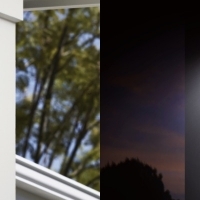 The hardwired Floodlight Cam includes a pair of floodlights with a 270-degree motion sensor, combined with a camera capable of 1080p HD video, enhanced night vision, 140-degree field of view, and a cloud recording subscription plan. 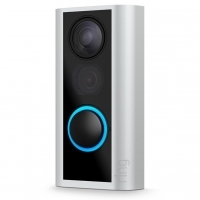 It's priced at $249 (or $449 for a two-pack) and is available in black or white.